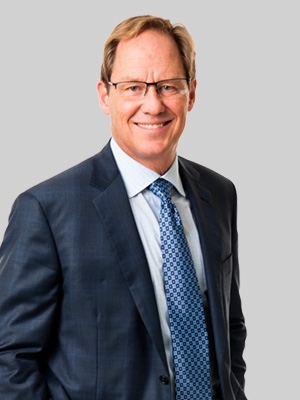 Ron is a seasoned litigator and co-chair of the firm's Construction Law Group. He focuses his practice on construction litigation and the negotiation of construction contracts. In more than 25 years of litigation in the state and federal courts, Ron has established a track record of success in prosecuting and defending construction defect claims against builders and developers. His experience includes claims involving structural components, product performance issues, water penetration and mold, and insurance coverage issues. Ron has also developed a particular fluency in analyzing the risk issues and costs in major construction contracts. He is frequently called upon to serve as an outside consultant to review contracts during the negotiation phase. In addition, Ron handles a wide range of complex commercial litigation and class actions, including medical monitoring and claims for property and personal injury loss. Obtained a $5.5 million verdict for Community College of Philadelphia after a two-and-a-half-week trial in a case involving claims of breach of contract and professional negligence on behalf of an architectural firm. Obtained 100 percent recovery for school district in a breach of the performance bond suit against an insurer. Won a jury verdict of more than $5 million for a condominium association in its suit against the building’s developers and engineers over alleged structural issues and nondisclosures, including claims under the Pennsylvania Uniform Condominium Act. The award included $900,000 in punitive damages. Won dismissal of all claims in a proposed class action medical monitoring suit brought by former employees of a plastics manufacturer. Successfully defended the victory on appeal to the Third Circuit Court of Appeals, winning a ruling that the suit was filed beyond the statute of limitations because the workers knew or should have known that they worked with harmful materials years before bringing the lawsuit. Filed suit to recover for product sold. The matter settled for full compensation, which included the principal amount due and owing plus legal fees. Outside of the office Ron regularly volunteers his time to serve on Arbitration Panels for the Chester County Court of Common Pleas.